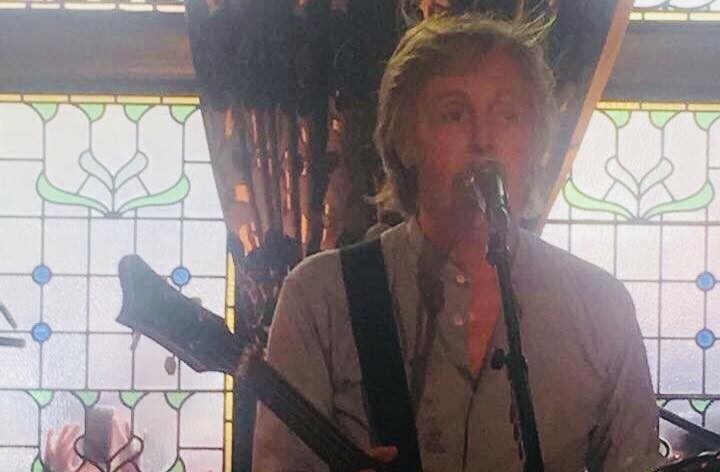 Paul McCartney causes pandemonium in Liverpool with a gig in Liverpool Philharmonic Pub and visiting his childhood home, Getintothis Father McKenzie on a fab day in the city. Paul McCartney surprised music lovers with a return to Liverpool playing a secret set and parading around the city centre. Macca played a surprise show in Liverpool Philharmonic Pub while also visiting the Pier Head, Allerton Road and Penny Lane. Playing in front a crowd of just 50 people, The Beatles star played a set list which included Love Me Do, I Wanna Be Your Man, Back in the U.S.S.R, Birthday, I’ve Got A Feeling and Hey Jude. He was also spotted filming in the city on Saturday alongside James Corden – taking a selfie with his own Beatles statue at the Pier Head. The two stars were then seen in a car on Allerton Road, where they were understood to be filming for the famous Carpool Karaoke segment of Corden’s US talk show The Late Late Show. In the last few days, McCartney’s Instagram feed and profile picture has been deleted, leaving his page completely blank. His Twitter profile picture has also been removed, leading to speculation McCartney could be gearing up to release new music. Last month, McCartney was made a Companion Of Honour for his contribution to music. He is only one of a few musicians to receive the honour, including Vera Lynn and opera singer Janet Baker. Other recipients include Stephen Hawking, Judi Dench, and J.K. Rowling.